The new year has begun and I know a lot of us are dying to get started on de-cluttering, purging, and organizing everything to a magazine-worthy “T”. The truth is, not many can afford to dedicate the entire month of January to organizing (and only organizing), nor will all of our spaces be perfectly Pinterest-worthy, and if that’s your goal, it can be daunting to even begin the process of tidying for the new year. I have a list of spaces I want to tackle but I can’t allocate huge blocks of time to get it all done. THAT is daunting, also. Instead, I operate better to do what I can, when I can. Some larger areas may need to be planned for but if you aren’t starting because you think you have zero time to dedicate, I’m hoping to change your mind. Below, I’ve broken down spaces to organize in your home, based on the time you have. Some, you can even conquer while sitting on the sofa or watching an evening show. You can perform some tasks while dinner is on the stove. Several can be accomplished one morning if you wake up before the rest of your house. Or, maybe you’re killing time before having to pick your kids up from an activity. You don’t have to have a lot of time, all at once, to get a lot done. There are some organization projects I plan for (those with longer time commitments that actually require more organizing and not just purging). And, if you’re implementing any new systems this year (like I am in my first organization project- TBA soon! ), it’s good to take measurements and determine ahead of time the kinds of bins/baskets/containers that will work best and offer the most functionally for your family, home, and space. But other “zones” can be tidied up and de-cluttered on a whim. 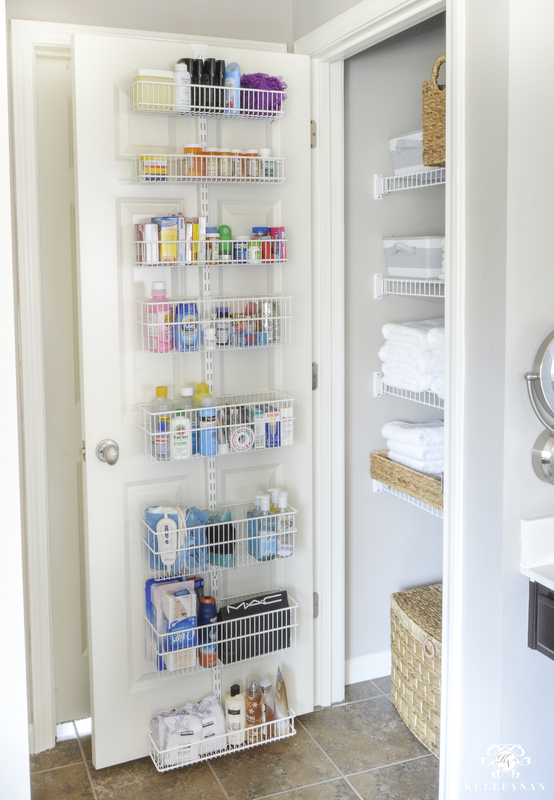 On these types of areas (like drawers), you can stock up on organizers ahead of time that can be used across different drawers, for different contents, in different rooms. If you get several customizable sets, they should keep you busy for a while 😉 You can find a lot of different options HERE. Another thing to note if you are preparing to implement a new system is that The Container Store is holding their annual Elfa sale (30% off all things Elfa). 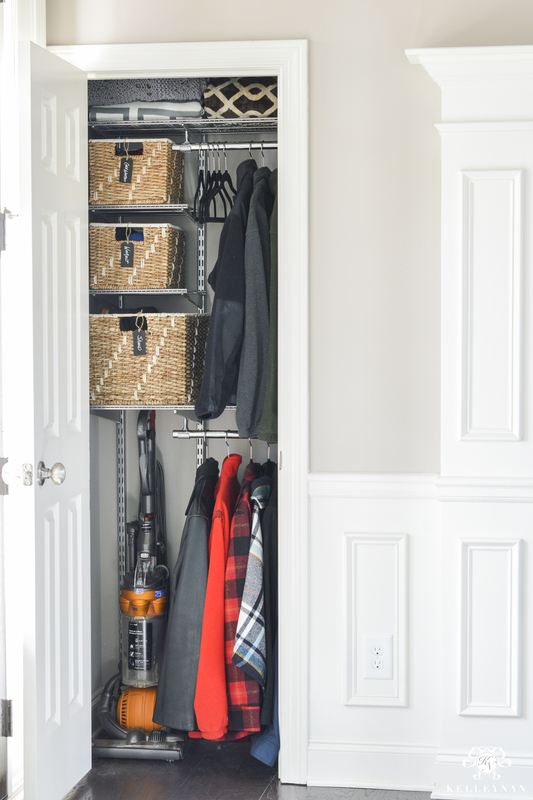 If you don’t know about Elfa systems, basically, they are custom closet storage systems that are WAY simpler (and more chic) than the wire shelving you’re probably used to. All racks, bars, and drawers run off of ONE top track (none of those horizontal bars than end up uneven). You can see our closet decked out in Elfa HERE, or our small entry coat closet HERE. If you aren’t ready to take on an entire closet, Elfa also has those easy (no holes) back-of-the-door systems, too (HERE). (I have these on SEVERAL doors; you choose your own baskets 😉 ). This is secured with a clamp, is super sturdy, and gives zero reason to go through the torture of ruining your door to hang something with screws. 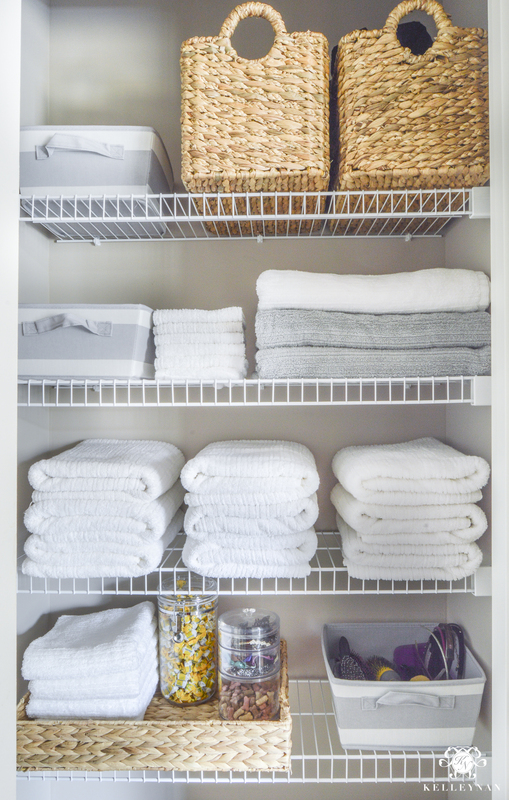 (note- the shelves inside the linen closet are NOT Elfa- just the standard that was included with the house). Make a list of every space in your house that needs attention (take inventory of all your rooms) No zone is too small to be included on the list! 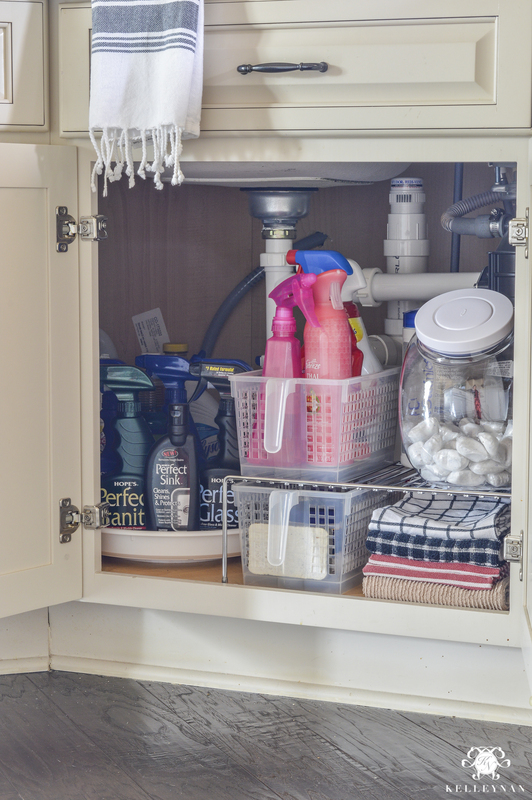 While your tidying up and organizing your home, you’ll probably see a trend of junk drawer-type items popping up all around your home. Instead of leaving all those items separate and never really remembering if you have two more AA batteries or a 40w light bulb, give those items a home once and for all. I haven’t touched a single thing since the start of 2018 but I’ve already taken inventory and made a list throughout my own home. I’m so ready to go! 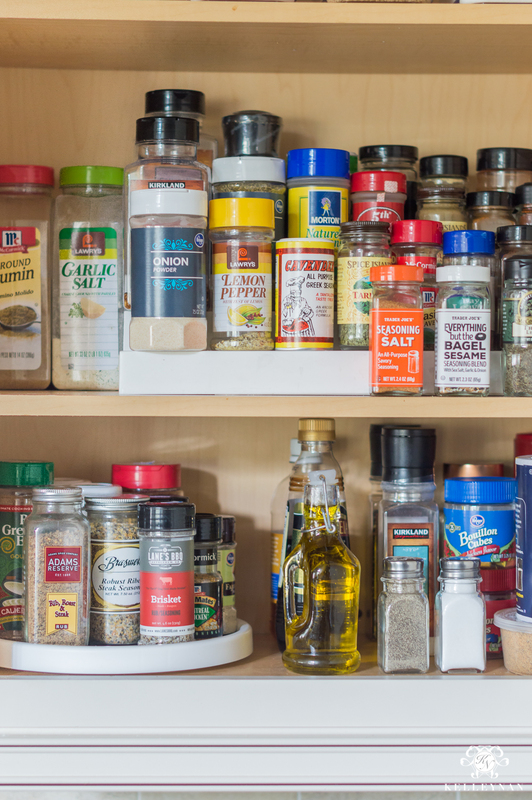 Drawer by Drawer, container by container, and shelf by shelf – even if we’re slow moving we can accomplish a lot organizing what we can, when we can. PS: This doesn’t mean you get a pass to procrastinate til you feel like you’re in the optimum mood to start. But if time truly is your constraint, this should help. 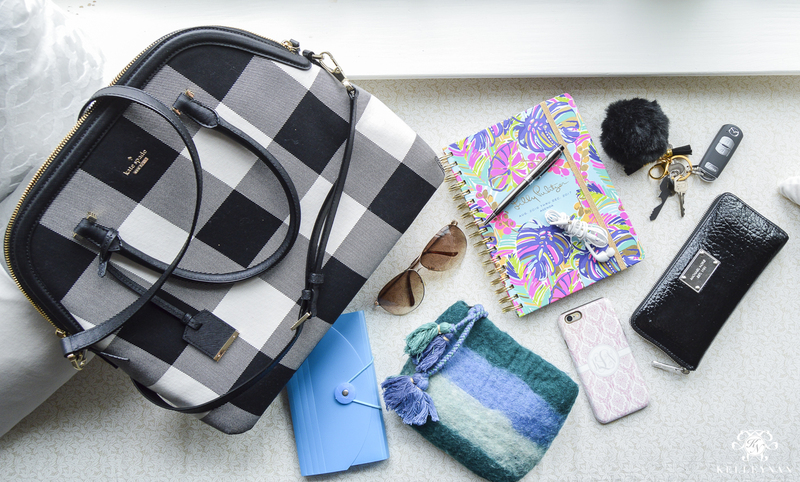 Plus, organizing is addicting. Once you start, I bet you’ll be “finding” more time all over the place to continue on your de-cluttering spree! We’ll be starting to organize a lot around here soon (and of course, I’ll be documenting as I go) but if you want some ideas now, you can check out past organization projects HERE. I am very impressed, you are amazing! I have my organization lists made but I started a diet, 2 bible studies and a new exercise class, haha. Plus it’s below 0 and I’m drinking 2 tea bag cups of tea with big sweaters and socks! Im frozen. I have many excuses.